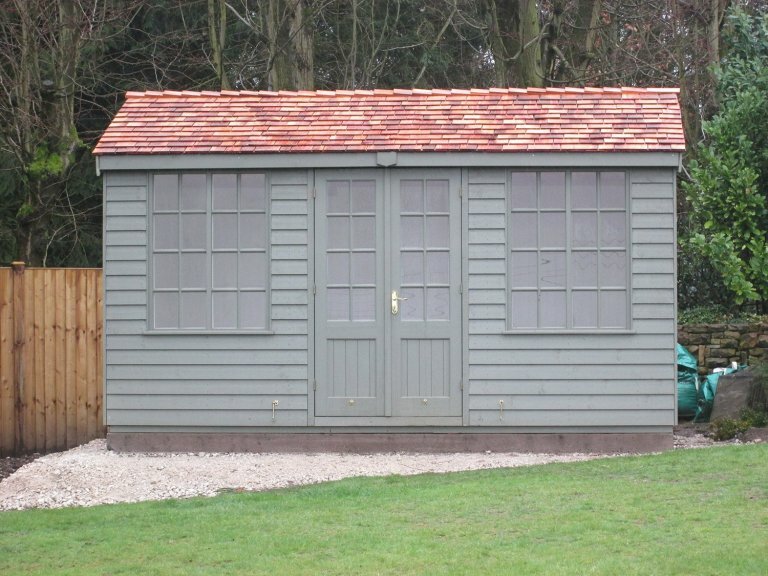 Purchased by the customer as a garden retreat, the summerhouse has an apex roof covered with cedar shingles and rustic weatherboard cladding painted in the shade of Ash. The building boasts windows with attractive Georgian bars, eight of which open to allow for ventilation and natural light. 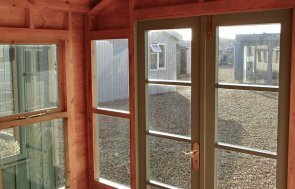 Internally, the Summerhouse is fully lined and insulated with an electrical pack to supply heat, light and power to the building. The customer opted for painted pine lining in the airy shade of ivory and polished brass door furniture which was chosen over our alternative option of chrome. 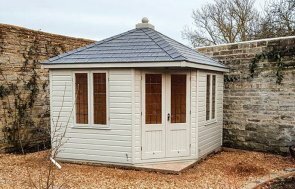 In order to see our range of summerhouses for yourself, you can pay us a visit at one of our UK show centres where there is a variety of buildings on display and a team of advisors who can assist with any queries you might have. 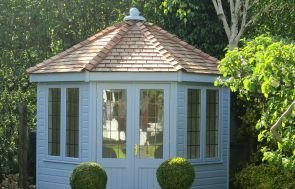 By paying us a visit, you are able to obtain a valuable insight into the quality and craftsmanship of our buildings, as well as the alternative range of choices when it comes to the finishing details such as roofing types and painted exteriors. Locate your nearest site here, or get in touch with us on 01760 444229.